The KOC Ahmadi Park Hockey Grounds hosted another day of exciting finishes and a demonstration of skilled Field Hockey, One error by Kuwait Independence Hockey (KIH) leaving Dominc Savio striker Sherwin D'souza all by himself, let him score the only goal of the game; a zero angle Tomahawk goal in the 4th quarter of the game giving Dominic Savio a 3-point lead over KIH. 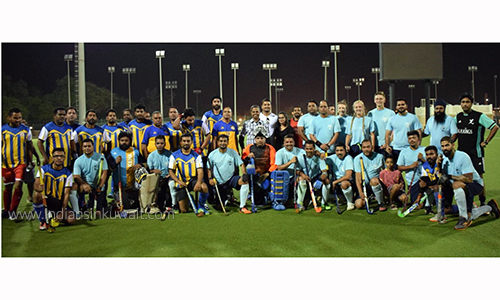 Sunil Almeida President of the Kuwait Expatriate Hockey Association (KEHA) and skipper of KIH commented, "It was a beautifully balanced game, both teams played very well KIH played more of Defence". Team Dominic Savio, the only team at present under KEHA to have women on their starting line-up, made consistent attacks right from the start. Leo, Mahmoud, Karl and Anna Tucker penetrated their defence, but couldn’t find the nets in the first 3 quarters, this, combined with 2 good attempts on goal by KIH were saved by the experienced Jayan leaving KIH Goalless. A week into the International Red Hockey Championship (IHRC 2018) and KOC Greens have proved their dominion winning 3-1 over their opponents, thus remaining unbeaten with 2 straight wins. 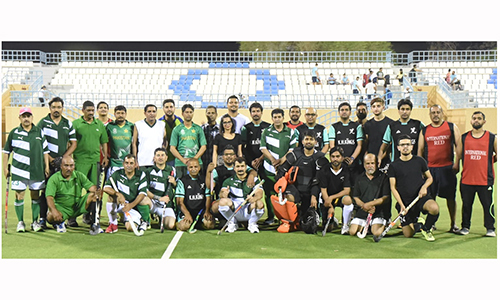 Though the Kuwait Hockey Kings (KHK) Hassan scored in the 4th minute, in what was a pleasant summers evening, Zahid replied with an equalizer within two minutes, giving him a lead with 4 goals within this championship, the other Two goals came off Auranzeb and Mushtaque in the last quarter of this fast paced Field Hockey match. Fixtures for Friday 21st September 2018 are KOC Blues v/s KIH at 6.00pm & Domnic Savio V/s International Red (the Host team) at 7.00pm. The pleasant weather attracted a lot of spectators and some new players to the KOC Hockey Grounds; further, should anyone be interested in playing or officiating Field Hockey matches, please feel free to Contact Mr. Lawrence Alphonso on 00965 66749174.